We've got a weak spot for this extra large paperclip-shaped wall hook. 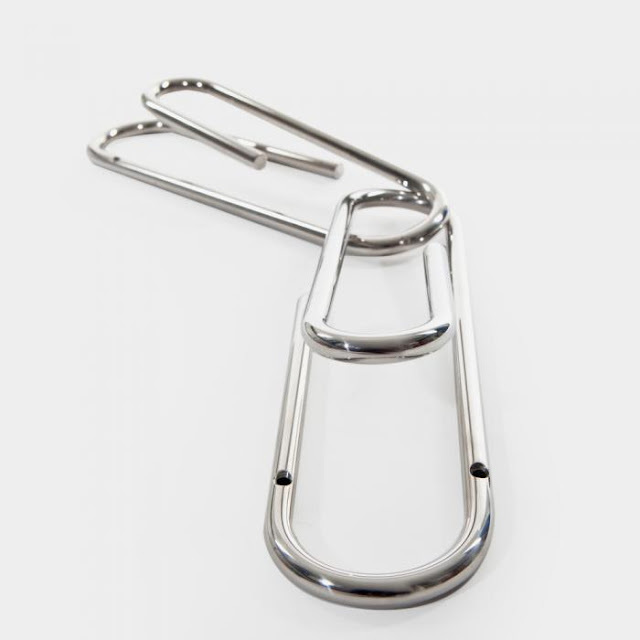 Coat hooks come in all sizes and shapes but this oversized paperclip hook is exceptional in every way! The extra large paperclip hook is made from solid 10mm chrome plated steel rod, measures 11 inches in height (28cm), attaches to the wall or links to form a chain making a fantastic coat hook or even a magazine rack. Designed by Post Design and made in Italy; this beautiful modern paperclip wall coat hook combines form with function! The larger than life paperclip wall hook coat hanger is sturdy, large, and beautiful. Strong enough to hold up to heavy winter coats, umbrellas and whatnot. The perfect modern coat hanger for the entry way, closet, office or a reception area. 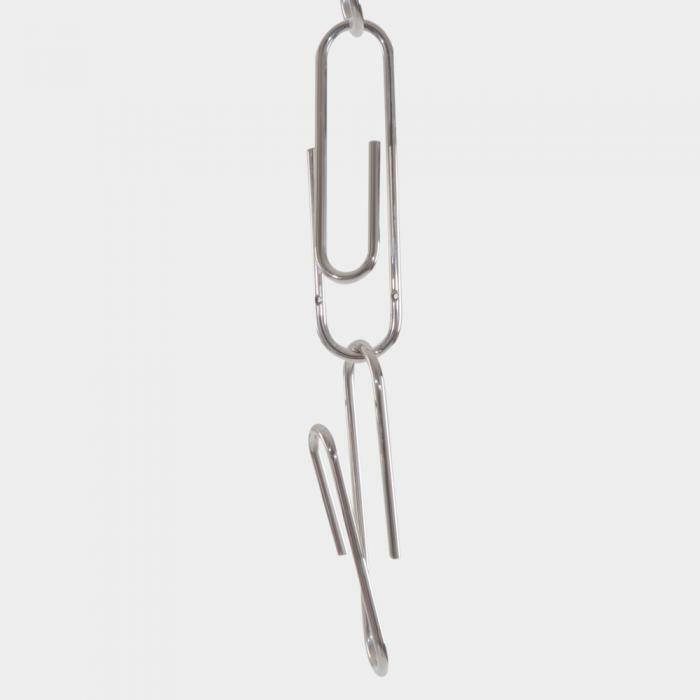 The Paperclip hook is really nice looking and super stylish. Hook installs quick and easy with two screws (not included). Buy one as an accent piece or get several and install them next to each other for added visual impact. A quality Italian made product.